Ping tree is a method using which lead seller makes the most out of their quality lead. It is a part of an advertising system which provides benefits to both buyer and seller. But as this is comparatively new to the system and so, a lot of question arises when it comes to ping tree. Let’s start and see some of the common facts about ping tree. 1 #1 What is a ping tree? 2 #2 Which all niche uses ping post tree? 3 #3 What are ping post specs? 4 #4 Whether ping post works for web leads only or applicable to phone leads also? 5 #5 Ping post is a network or lead exchange? #1 What is a ping tree? 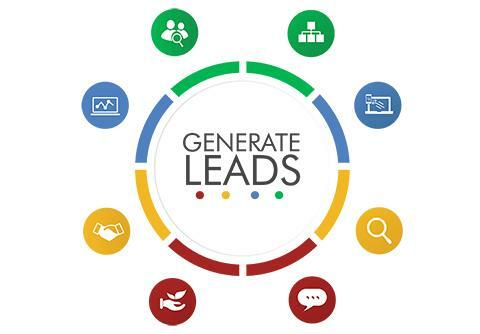 If you’re a lead seller or generate call as a pay per call affiliate then you already have a collection of buyers and partners that you sell your leads to. This collection can be used to create a Ping Tree The name is mainly because for each incoming lead there will be usually many outgoing pings to all the potential buyers. If you are a lead seller, you should consider and take ping tree very seriously. #2 Which all niche uses ping post tree? Also, ping tree can be used technically in any sector and is being expanded as well. A lot of progress has been done in the areas like- mortgage, financial services and some subprime lead types like tax and credit card debt settlement. #3 What are ping post specs? It is an important concept in the lead industry which provides a process where instructions are given by the lead buyer to lead seller that allows the lead seller to build a process to ping the buyer and receive a bid. And then publish full lead details, if that buyer is the winner. Many companies offer sellers with the ping post specs with an API key for better tracking and security purposes. #4 Whether ping post works for web leads only or applicable to phone leads also? This is a very common question I come across and so definitely need mention here. The good news is, ping tree is not just for the web but also for the phone and other forms of leads. In this process, the live leads can also be sold directly. This way, the seller sends partial information about the lead to the potential buyer and if they are the winner, complete information will be shared. The partial information about the lead comes with- campaign, answers to IVR questions and area code. #5 Ping post is a network or lead exchange? Ping post is neither a ping post nor a network. It is a lead distribution process where anyone can buy or sell leads without revealing their identity. When we talk about the exchange, it is basically standardizing the process for all parties. But every niche has their own way to handle such a process. And so, you can make your own process for buyers, sellers, and medium. Using Ping Tree Technology like Ringba makes the entire setup and management process a breeze. These were some of the important things you should know about ping tree. I hope you got some fair idea about the ping tree and how it works. Have a further question? Feel free to comment here.